Body parts are like politicians. You don’t really think about what they do until something goes wrong. Consider the median nerve. “What’s that?” Well it’s only the peripheral nerve responsible for sensation and motor control of the fingers within the palms of each hand (except for the little finger, but pinkies have problems with authority). Don’t feel bad if you’re not facebook friends with the median nerve. It never really hits the news until it gets squeezed. Yes, squeezed. Everyone has heard of Carpal Tunnel syndrome, Carpal Tunnel, or “Copper tunnah” if you were raised in the land of sweet tea and magnolias. The carpal tunnel is a narrow channel of ligaments and bone in the wrist that the median nerve passes through like the DC metro train. 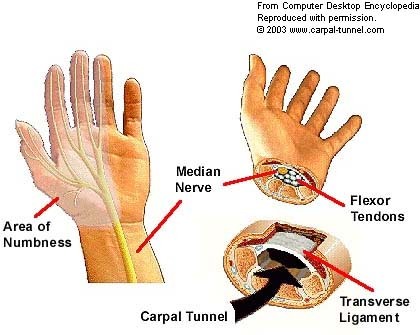 In carpal tunnel syndrome this space begins to narrow, compressing the median nerve which leads to numbness and chronic pain in the hand, fingers, and wrist. I really wanted to give this diagram a high five just now. Weird, I know. Did I mention that the carpal tunnel is narrow? No space is wasted in the body and the median nerve isn’t just floating happily in first class with all the leg room in the world. It is literally surrounded on all sides by 9 flexor tendons, vessels, small muscles, and of course, the carpal bones of the hand. In such a tight space if any one of those tendons decides to swell (and you know how tendons can get) the median nerve will get squeezed tighter than a dachshund wrestling a Saint Bernard for a bean bag chair. “Risk” is just a sly statistical term to describe how much wiggle room an individual has in avoiding a disease or condition. In this case, risk factors include any condition that could significantly alter the space within the carpal tunnel. Statistically women are 3 times more likely than men to develop CTS, possibly due to their smaller carpal tunnels. Of course, those women who do develop CTS could have any combination of the risk factors that I mentioned above. So I wouldn’t go out making predictions at the bar with your tape measure just yet. A perfectly healthy woman or man with no signs of CTS could have smaller wrists than a woman with CTS. Work Related? – There are a lot of people (including myself) who associate CTS with mind-numbingly repetitive tasks, such as typing or assembly line work. 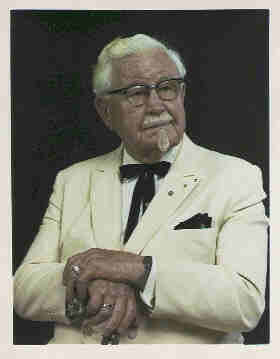 We can’t start pointing the finger at any one profession (and I know you want to). We can’t just say, for example, that packaging chicken parts for Tyson causes carpal tunnel syndrome. However, it has been established that CTS is three times more common among assembly line workers than individuals who perform data entry. Any prolonged activity that puts stress on the wrist could easily exacerbate an underlying condition that could lead to CTS. Even if you have wrists the size of tree trunks I wouldn’t compete in any 3 day, speed origami marathons until all the facts are in.